Thanks to your feedback, Swimia has grow to be in just quite a few months one probably the most significant sites of swimming pools. Here you've got all the info we know about Ladywell Leisure Centre, in London. Do you know the opening hours? Are they providing any course? What's the value for a single swim? 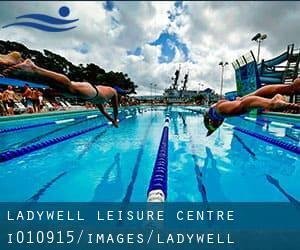 Don't neglect you can also promote this pool so Ladywell Leisure Centre will appear the very first of London, or even the first of one's country, get in touch with us to know a lot more. This great and large sports centre lets professional swimmers like you enjoy 33-2/3 yardsm x 12.5 meters, 6 lanes, Indoors. Additionally, within these facilities you can try 18 meters x 7 meters teaching pool, Indoors. Phone number and e-mail address are number for this Swimming Pool. Updated on 2019 Westcroft Rd. , Carshalton , London - South , England , UNITED KINGDOM (Postal Code: SM 5 2TF). This sports centre offers 33.3 meters x 12.5 meters, Indoors. Contact facts for this Pool just like phone number and email address are number. Updated on 2019 Malden Road , North Cheam , London - South , England , UNITED KINGDOM (Postal Code: SM 3 8EP). Among all of the activities provided by the centre, for anybody who is considering swimming you will enjoy 30 meters x 12 meters, Indoors. If you should contact this Swimming Pool, email address and phone number are both number. Updated on 2019 Lychgate Rd. , Orpington , London - South , England , UNITED KINGDOM (Postal Code: BR 6 0TJ). Among all the activities offered by the centre, for anybody who is thinking about swimming you will enjoy 33.3 meters x 15 meters, 6 lanes, 1 meters - 2 meters depth, 1 meters - 2 meters depth, Indoors. If you have to make contact with this Swimming Pool, e-mail address and phone number are both number. Updated on 2019 Ironmonger Row , Clerkenwell , Islington , London - Central , England , UNITED KINGDOM (Postal Code: EC1V 3QN). Among all of the activities offered by the centre, when you are keen on swimming you are going to enjoy 30.5 meters x 12.5 meters, Indoors. If it is advisable to get in touch with this Swimming Pool, email address and phone number are both number. Updated on 2019 Donnington Rd. , Willesden , London - North , England , UNITED KINGDOM (Postal Code: NW10 3QX). Among all the activities offered by the centre, for anyone who is thinking about swimming you can expect to take pleasure in 25 meters, 6 lanes, Indoors. If you might want to contact this Swimming Pool, email address and phone number are both number. Updated on 2019 24 Beckenham Rd. , Beckenham , London - South , England , UNITED KINGDOM (Postal Code: BR 3 4PF). Swimmers like you have reported 25 meters, 8 lanes, Indoors. Also, you will find 20 meters x 10 meters teaching pool, Indoors. If you'll want to make contact with this Swimming Pool, email address and phone number are both number. Updated on 2019 324 Barking Road , East Ham , London - East , England , UNITED KINGDOM (Postal Code: E 6 2RT). This sports centre offers 25 meters, 6 lanes, Indoors. Contact information for this Swimming Pool for instance phone number and email address are number. Updated on 2019 221 The Highway , Wapping , London - East , England , UNITED KINGDOM (Postal Code: E 1W 3BP). This sports centre offers 33 meters x 15 meters, 6 lanes, 1 meters - 3.8 meters depth, 1 meters - 3.8 meters depth, Non-Chlorine Sanitized, Indoors. For this Pool, only phone number is number here. Updated on 2019 21A Piccadilly , Piccadilly , London - Central , England , UNITED KINGDOM (Postal Code: W 1J 0BH). Among all of the activities offered by the centre, if you are interested in swimming you'll take pleasure in 50 feet x 35 feet, 1 meters - 2 meters depth, 1 meters - 2 meters depth, Non-Chlorine Sanitized, Indoors. Just in case you wish to get in touch with this Swimming Pool before dropping by, we only know the phone number. Updated on 2019 Eastcote Rd. , Ruislip , London - West , England , UNITED KINGDOM (Postal Code: HA4 8DZ). This sports centre delivers 33.3 meters, 6 lanes, Indoors. For this Swimming Pool, only phone number is number here.